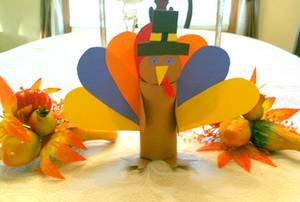 This paper turkey is a creative way to decorate for Thanksgiving. A nice decoration for a child’s bedroom or to put at the children’s table for the Thanksgiving feast. 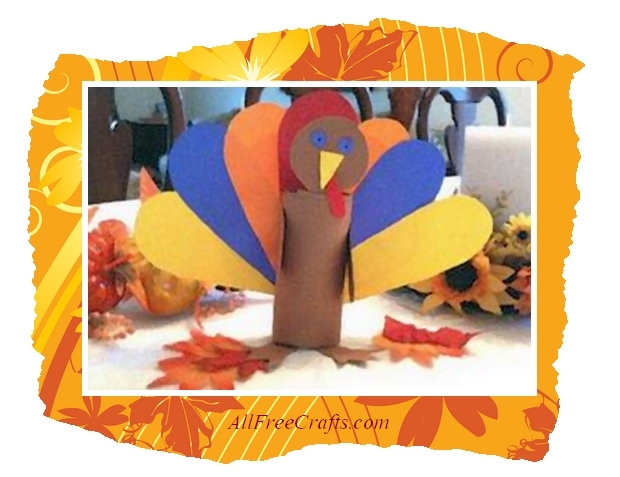 This is a fun craft to do with your children or to keep them happy on a day of boredom. Take brown construction paper and roll over the paper roll and glue. This is the main body of your turkey. Make a circle for the head and glue onto body. Then decorate the face. Add two feet out of brown or yellow paper and glue to bottom of body. Cut out two wings and glue to the sides of the turkey. Make a fan of colored feathers out of construction paper or craft feathers. Take the turkey body and glue or staple to back. Have fun and if you want give your turkey a hat. About the Author: Laura Koob has a background in Early Childhood Education and loves to open the world of art to children and adults.